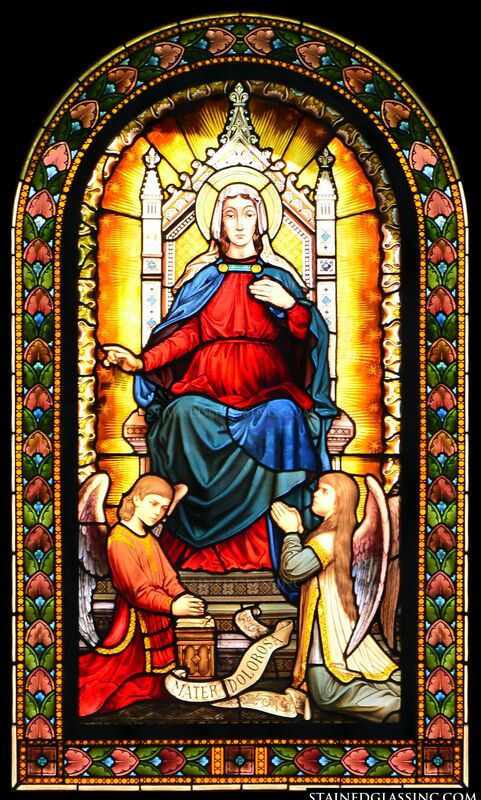 Full of bright color and luminous hues, this religious stained glass design for windows shows Mary on a throne ruling in Heaven along with two angels at her feet in recogntiion of her role. 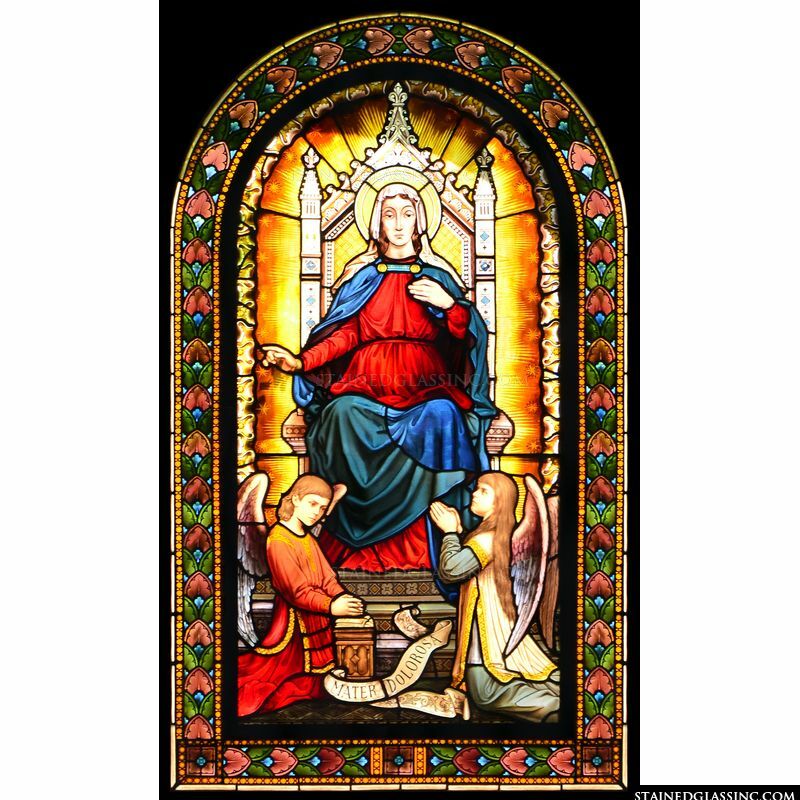 This spiritual stained glass insert can be made to fit your spiritual space, incuding chapels, prayer rooms, and churches, filling these spaces with colorful light displays that change throughout the day. We offer factory direct pricing and shipping for greater value.